As previously mentioned, Sandy (Sandra Brimelow) has been doing some challenge scrapping lately and I'm the lucky one who gets to share her gorgeous work with you on my blog. 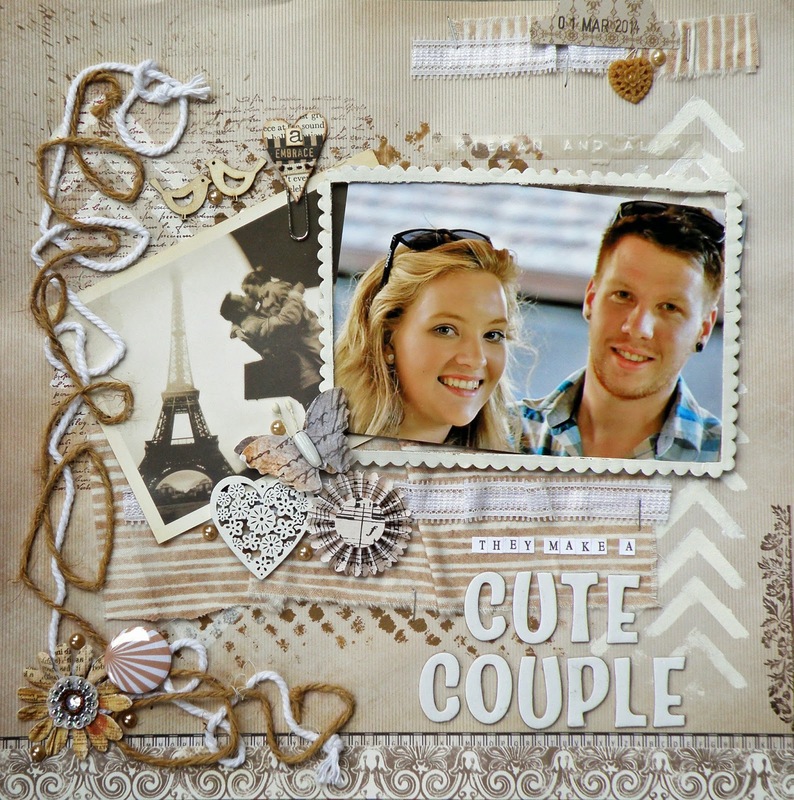 This next layout is Sandy's White With 1 challenge entry which, this month, was to use the colour latte .. I seriously love what Sandy has done with this layout and soooooo cannot wait for our next three day scrap catch up. She is such an inspiring chick to scrap with! Thanks for letting me share your layout on my blog girlfriend! This does look lovely, great idea with a two strings! Great page Sandy! Love all the layers and texture. Thanks for joining us at WW1.